Two days after Israeli Prime Minister Binyamin Netanyahu’s presentation exposing Iranian duplicity about its nuclear weapons program, the subject came up in a meeting with Japanese Prime Minister Shinzo Abe, in which the latter stood firm in support of preserving the agreement. 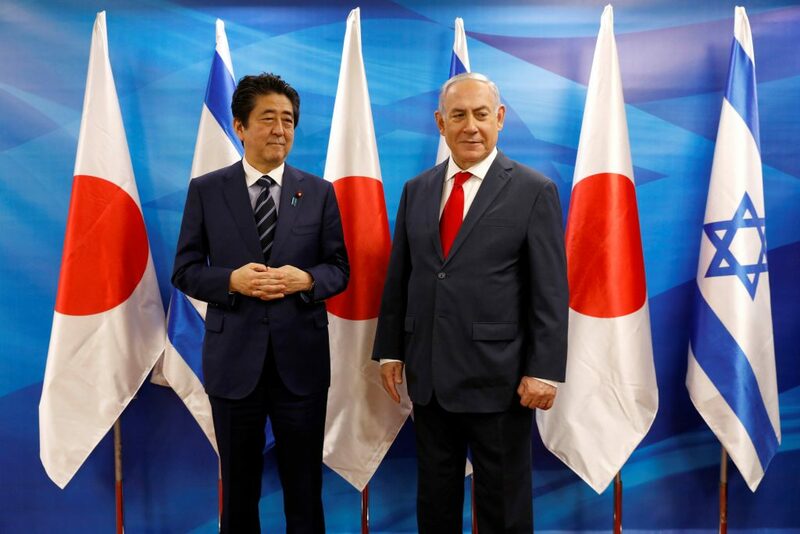 Japanese officials said that PM Abe responded that it was necessary to keep the agreement for the sake of stability in the Mideast, according to a report in Haaretz. “Iran kept all the (nuclear) plans. Those who do not want nuclear weapons do not make plans and certainly do not keep them,” PM Netanyahu told PM Abe, according to the PMO statement. But PM Abe said that Japan will continue to support it. He also said that Japan will continue its support of the two-state solution, and that Tokyo would not move its embassy to Yerushalayim until final status issues are resolved. In addition, PM Abe asked PM Netanyahu to restrain building in Yehudah and Shomron. They did agree, however, that their governments should promote direct flights between Tel Aviv and Tokyo to boost tourism, investment, and business. PM Abe invited the prime minister to make a reciprocal visit to Japan in the coming year. PM Abe arrived on Tuesday evening on his second official visit to Israel. He is accompanied by his wife and a delegation of senior Japanese business leaders. Prior to arriving in Israel, PM Abe was in Ramallah, where he informed Palestinian Authority chairman Mahmoud Abbas that Japan will not move its Israeli embassy to Yerushalayim.